The actress’ younger brother, Isah took to her Instagram page to reveal that his sister is suffering from fibroid complications. He also thanked her colleague Tonto ‘Poko’ Dikeh for her support and the first lady of Kogi state, Mrs Rashidat Bello. The First Lady of Kogi state @rashidayahayabello for being an example of love,and kindness towards our sister who had complications from fibroid.We love and pray for God to keep uplifting you for all you do for every one.For being a mother to our sister.Your kindness will never go in vain. Written by @itsyungissy Isah Abubakar…. 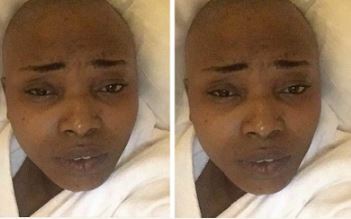 0 Response to "Actress Halima Abubakar Has Complications From Fibroid – Her Brother, Isah Abubakar Reveals"